All vocal aficionados attend performances hoping for one of those rare nights when lightning strikes and an event is so perfect and extraordinary that it is irrevocably stored in the mental database of treasured musical memories. Monday night at Ravinia undoubtedly provided many in the audience with such an experience. The remarkable performance of Schubert’s Die schone Mullerin by Matthias Goerne and Christoph Eschenbach, for insight, dramatic intensity and vocal artistry, is unlikely to be matched anytime soon. Anticipation was high for the first event of this week’s survey of Schubert’s complete song cycles, but the two men managed somehow to vastly exceed expectations. Ravinia is the only U.S. venue for this Schubert series, performed last month in London and Germany, and local audiences are fortunate indeed to have artists of this caliber in repertoire in which both are masters. Schubert’s cycle, set to Wilhelm Muller’s richly textured poems, tells of a young country lad in love with a beautiful miller maid. Over the course of twenty songs, the narrative moves from the cheerful youth’s love of nature, grass and running streams, to darker regions as he discovers the girl does not reciprocate his feelings, and is driven to anger, despair and, ultimately, suicide. Goerne’s instrument has darkened a bit since he first burst upon the international scene a decade ago. But the German baritone’s voice remains extraordinarily supple and flexible, containing ample heft and volume, yet capable of a wide array of hues and expressive nuance. From the cheerful canter of the opening Das Wandern and a finely detailed Wohin?, Goerne brought out the essence of each setting with Eschenbach an equal partner. The youthful impetuosity of Halt! and romantic ardency of Ungeduld were as incisively etched as the lyric sensitivity of Der Neugierige, rendered with a confiding intimacy and tonal sweetness. In addition to the eloquent vocalism, Goerne brought a bracing physical intensity and an actor’s stage command—swaying to the music, stepping forward or leaning far back, his body as much a reflection of the texts, as his voice and large, expressive eyes. Eschenbach’s keyboard work, even dealing with some badly tuned keys, was in such symbiotic accord with Goerne the two often seemed to be breathing as one. As the cycle unfolded, Goerne went from strength to strength. Tranenregen was especially beautiful, rendered with a sad sense of longing and the feeling that his chance for love with the girl was slipping away. Also affecting were his burst of desperate confidence in Mein! and the doom-laden foreboding brought to Die liebe Farbe, Eschenbach’s right-hand piano notes tolling like a graveyard bell. Goerne brought vehement fury to Die bose Farbe, spitting out this angry outburst spitefully. Both men rose to the rarefied expression of the final settings with consummate artistry, the evening rounded off with a spacious, unforgettable performance of Des Baches Wiegenlied, the acquiescence and sought-for peace in death affectingly conveyed. After the final song, silence hovered in the air for a long time before the applause began, the two men called out for several well-deserved curtain calls. You owe it to yourself not to miss the two remaining Schubert cycles this week at Ravinia. Artistry of this kind is a rare lifetime experience. 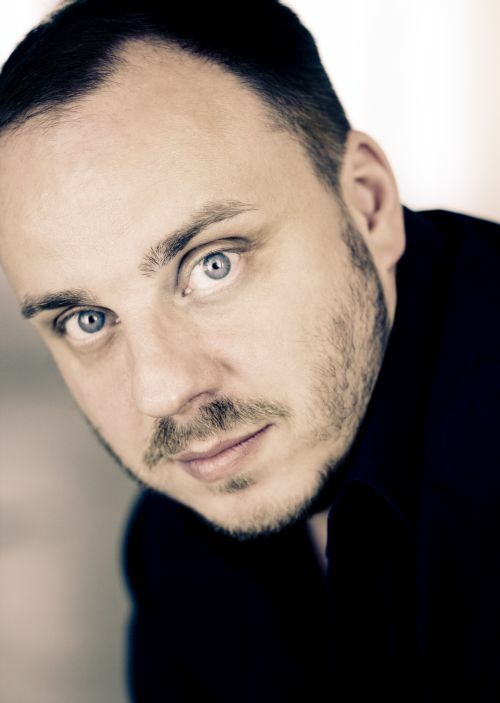 Matthias Goerne and Christoph Eschenbach perform Schubert’s Winterreise 8 p.m. Wednesday at Ravinia’s Martin Theatre. www.ravinia.org. 847-266-5100.